CBRE has released its 2019 Phoenix Market Outlook report, which highlights the performance of the Phoenix commercial real estate market during 2018 and predicts how key trends will impact the major commercial real estate sectors in the year ahead. • In December, the metro increased by 76,900 jobs and employment expanded by 3.7%. This growth ranked Phoenix second for metro employment growth on a percentage basis and fourth for number of jobs added. 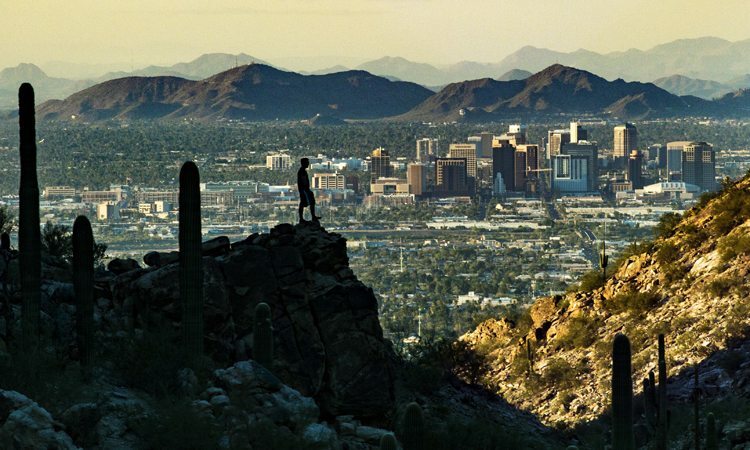 • OUTLOOK: The economic outlook for Phoenix is positive in 2019, bolstered by employment growth, corporate expansions and relocations to the metro, a healthy housing market and wage growth. • Strong office-using job growth bolstered office demand, which outpaced new supply in 2018. Net absorption has outpaced new supply since 2011, further pushing down vacancy from its recessionary peak of 26.2% to 15.2% in Q4 2018. • The market’s 22 consecutive quarters of annual rent growth is following the national trend and begun to taper. At the close of 2018, the average office rent increased 4.2% compared with 5%-6% growth in the previous two years. • OUTLOOK: Much needed new space in attractive submarkets, such as Tempe and Scottsdale, will be well received and spur further rent growth; however, an outsized development pipeline in the popular Chandler submarket could result in a short-term rise in vacancy and nominal rent growth. • Net absorption has outpaced new supply since 2010, pushing down vacancy from its recessionary peak of 16.1% to 6.6% in Q4 2018. Marketwide, vacancy is at the lowest rate since 2005. • Strong demand and years of relatively stagnant rent growth will give owners additional leverage to put upward pressure on asking rents over the next year. • OUTLOOK: Population growth, job gains, and a strong housing market will attract new industrial users to the metro, supporting fundamentals. Strong demand and years of relatively stagnant rent growth will give owners additional leverage to put upward pressure on asking rents over the next year. • Steady demand for space and limited construction are supporting Phoenix retail fundamentals. Expanding retailers are finding additional opportunities in well-located big-box spaces that became available following several national closures. • On the supply side, developers have avoided the temptation to overbuild. New supply has been consistently below 1.0 million sq. ft. since 2010 resulting in a healthy supply and demand balance, a significant shift from the nearly 12 million sq. ft. of space that poured onto the market in 2007. • OUTLOOK: Agile retailers that adapt to consumer preferences and the evolving retail landscape by creating experiences and embracing technology will be successful in 2019. Steady retail demand, combined with conservative levels of new supply, will bode well for Phoenix retail metrics in 2019. • Residential development has mirrored or trended below household growth since 2010, resulting in pent up demand for multifamily housing and supporting rent growth. • Demand for multifamily has moved with or outpaced new supply over the last eight years, pushing down the vacancy rate from a recessionary peak of 11.6% to a low of 4.5% in 2018. • Tightening vacancy put upward pressure on average rent in 2018. Over the year, rent growth accelerated 7.4%. • OUTLOOK: Strong demand fueled by population and employment growth, low vacancy, and affordable rent compared with other major markets leaves additional runway for healthy rent growth in Phoenix. • Office occupiers are seeking high-quality space along the Loop 101 (from North Scottsdale to Chandler) and along the 202 (from Tempe to downtown Phoenix) where they have access to talent and are in proximity to affordable and executive housing. Insurance, technology, healthcare, and financial tenants have been the most active. • Industrial occupiers are concentrating their search in the West Valley and Airport area where there is available land and access to a large labor pool. The West Valley is especially attractive to tenants doing business in California as they can move goods within a one-day drive and benefit from Phoenix’s low cost of business. • Retail demand is being driven by grocery, fitness and discount retailers who are following new rooftops in the Southeast Valley and Northwest Valley. Many of these retailers are building new, rather than absorbing vacant and outdated space. These retailers will find additional quality spaces due to several national big-box moveouts, including Sears, K-Mart and Toys R” Us. • Relatively low levels of single-family construction (due to low availability of construction labor and rising cost of materials) is trending below household formation, resulting in additional demand for rentals. • OUTLOOK: Strong demand for space and a conservative construction pipeline have pushed down vacancy rates among all property types. Occupiers will search the market for quality and well-located space as developers attempt to keep pace with new demand. Limited speculative construction may mean users need to consider build-to-suit space or widen their search criteria in certain submarkets. • Healthy fundamentals, relative affordability, and comparatively higher yields are motivating active local buyers and attracting new investors to Phoenix, setting new price per sq. ft. records. • In 2018, all property sectors were within a small margin or exceeded the number of sales and volume in the previous year. • The Phoenix market’s influx of out-of-state and international buyers looked for higher returns. Though cap rates vary widely depending on multiple factors, in general, the cap rate spread between Phoenix and California rates can range between 100-200 bps for comparable properties across all asset types. • OUTLOOK: Rising interest rates, hedging costs, and comparatively low cap rates in primary markets will shift institutional and international investors’ focus to dynamic secondary markets, including Phoenix, in search of returns. • Amid rising interest rates, lenders are tightening standards, yet there is still an abundance of capital and liquidity in the market. The spread between Phoenix cap rates and the 10-year treasury (compared to primary markets) will be attractive to lenders attempting to reach desired returns. • Despite plenty of capital to lend, standards remain tight for new builds. Lenders are requiring significant pre-leasing, though the amount varies depending on asset type, location and quality of tenants. • OUTLOOK: An abundance of capital is expected to flow into Phoenix in 2019, with expectations to meet or exceed the amount of capital available in 2018. The recent reduction in the U.S. Treasury gives buyers and owners incentive to lock in interest rates ahead of further increases.